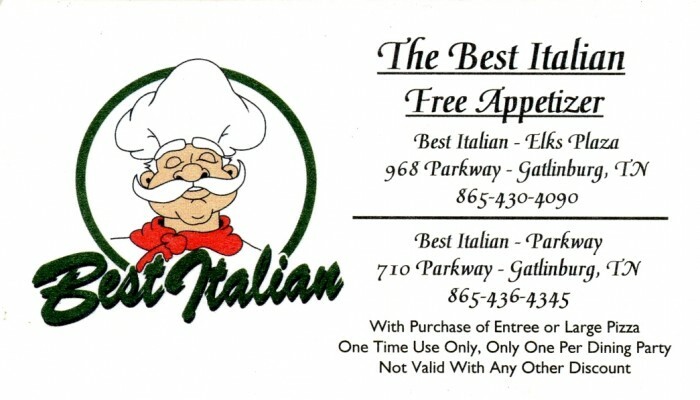 If you want to know what we're all about here at Best Italian, just look to our name. We keep our title by sticking to the classics: golden garlic knots, traditional pizzas, creamy pastas, and our homemade strawberry cheesecake, just to name a few. Sure, we've taken some liberties with our signature dishes (just look at the size of our calzones), but at the end of the day, we know it's our hearty, comforting flavors that keep our customers coming back year after year. So bring in the family and join us for a bite! We love getting to know the community that's been so good to us for more than 40 years.